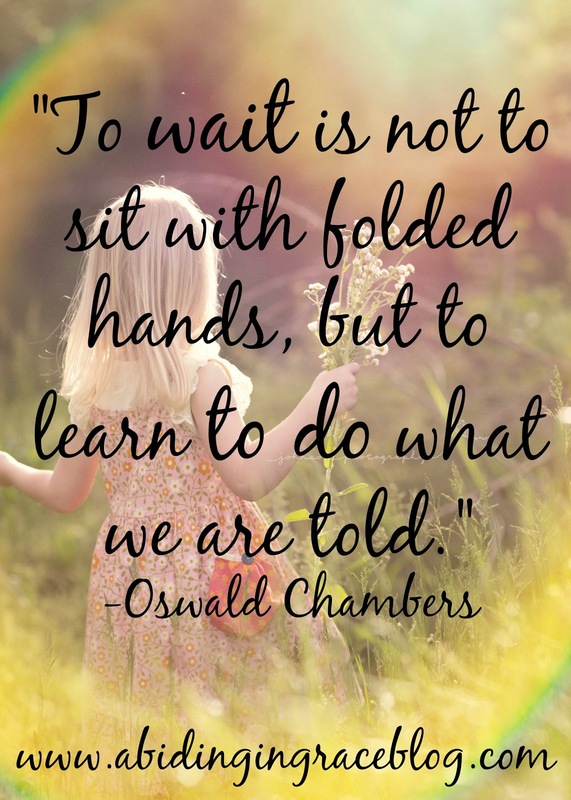 "To wait is not to sit with folded hands, but to learn to do what we are told." So appropriate right now. We are taking the online classes for the home study. We also have three books to read. It seems like a lot to us, but we are still really excited about this - that we don't mind at all. We are trying to use this waiting time to learn all that we can. There are so many things to learn. During this home study process, we have been learning about some challenges that we will face bringing home a child. Not just a child who is from another culture, but a child who has gone through so much already. We are learning tools and techniques to help us with these challenges. We are learning how to be better parents, even to the children we have now. This home study process has a light at the end of the tunnel as well! We have our third meeting this Saturday (March 1) and we just scheduled our last meeting for March 29! By our last meeting, all of our paperwork must be turned in. That includes medical exams, tax forms, health insurance forms - all of which are a little trickier because of Jason's recent unemployment. The social worker will have two weeks after our last meeting to write our home study. So, the latest our home study will be completed will be by the middle of April!! That is so exciting! We can then start on our dossier, which takes about 3 months. These two things: the home study and dossier are the main things that need to be done. 1. Her age. She is two months older than Emmalia. We were originally wanting a child younger than Emmalia. 2. Her condition. We need to speak with specialists and show them her pictures and reports to make sure we will be able to give her the medical care she needs. It is so hard to look at a cute (ok, an adorable) little picture and not want to say YES based upon an emotionally mind-set. But we know that this decision is so important and needs so much prayer! So please pray with us. We will not need to make the decision soon - but is it ever too early to start praying? If we do choose a waiting child, that means that the time-frame changes. It means that once our dossier is logged in (which I do not know what that specifically means) we could travel as early as 3 months. With everything considered, the decision can be made in about six months. Either way, the next step is still....waiting. We want to wait not with "folded hands" but doing "what we are told." This lesson is not just for me. It is for you too. All of us go through periods of life when we "wait." Maybe for a biological child to be born. Maybe for just the right job. Maybe for just the right "person." Maybe for the next step in life. If you are in a waiting period in your life, there are things to do. Find out what to do! Find out what you can do. There is ALWAYS something to do. Even if that is just praying - which by the way is a VERY powerful thing indeed!